High in the Himalayas, near the famous hill station of Darjeeling, lies the small village of Maneybhanjang, which means “the place where all roads meet.” The town is known as a hub for trekking in the area, including up the 11,930-foot Sandakphu. It’s also known for its collection of over forty Series Land Rovers, most of which are early Series I models, which have been toiling for decades as a shuttle vehicle up the mountains. 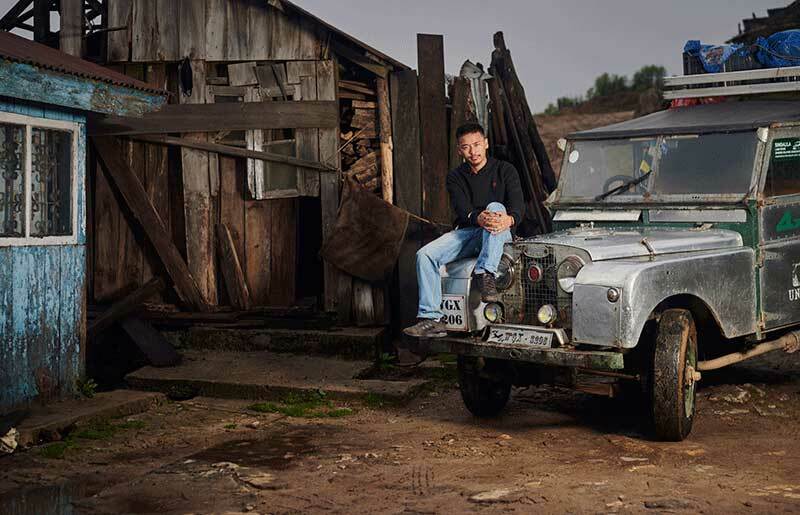 The story of Maneybhanjang has been known for years among the more in-depth Land Rover enthusiasts, but now as part of the 70th anniversary celebrations, Land Rover has made a series of films about the place and its special story to share it with everyone. 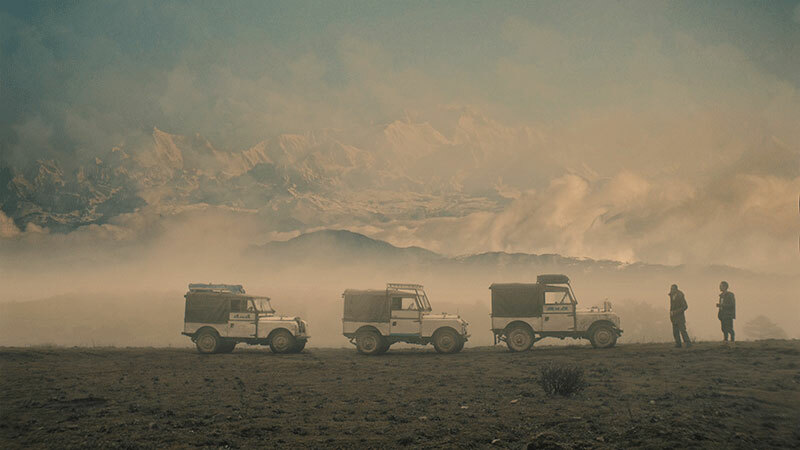 The Land Rovers arrived in the Himalayas in the 1940s and 1950s, brought to British-owned tea plantations in the waning days of colonial influence in India. Thus, many of them are early Series I models. As the British left, the Land Rovers got sold on locally. A few decades ago, dozens upon dozens of Land Rovers of all types of rare specification could be found running around Darjeeling as taxis, but now the 42 Land Rovers of the Maneybhanjang fleet are the only vehicles in the region in major commercial use. Sandakphu is accessed by a steep, long, winding, rutted road, which was only recently minimally paved. The Land Rovers are the only vehicles that the locals trust to drive up it. They feel that they cannot be beaten for their capability, durability, and simplicity. The trucks are decorated with patriotic symbols, religious icons, and things like “LAND ROVER” and “ENGLAND ROVER” in big print on the tops of the windshields. Some still have old, metal GB country code ovals riveted to them. Some have been fitted with newer engines, many from Mahindra and other Indian companies, as well as power steering systems and other modern conveniences. To celebrate the 70th anniversary, a few months ago Land Rover drove up Sandakphu with some of the elite local Series drivers in their vehicles along with some press in new Discovery and Discovery Sport models. The films sharing their story are beautifully produced and told, both the main one above and the others that you can see on Land Rover India’s corporate website. The Land Rovers haul up the roads taking trekkers to the top of the mountain, as well as carrying supplies to the mountain huts at the top. They are an absolute lifeline in the Singalila National Park. The owners have formed an organization to advocate for and promote the Land Rovers, the Singalila Land Rover Owners’ Welfare Association. More than ever, their unity will be needed soon. The regional government is trying to ban the Land Rovers, due to their age and non-compliance with a law that all commercial passenger vehicles must be no more than 15 years old. The government is offering subsidized financing to replace them with newer vehicles, including the Mahindra Bolero, but the owners do not feel these vehicles can handle the ascent over the long term and want to save the Land Rovers. The business is seasonal as well -- the park closes for several months during monsoons and to allow the endangered red pandas who live there to mate in peace. The lack of business for several months would compound the issue of repaying the loan on a new vehicle. The regional government wants to give the Land Rovers a new lease on life with "a heritage tourism circuit with a 1940 imagery...on a flat terrain or road...where these Land Rovers can offer heritage rides instead of plying on the difficult and steep gradient, which is very risky for these age-old vehicles." The owners don't feel that age is all that much of an issue to continue driving the mountain track. Though I sincerely hope the Land Rovers of Maneybhanjang drive on for many years to come, perhaps it’s better to visit them sooner than later if you want to experience this very special Land Rover Shangri-La.